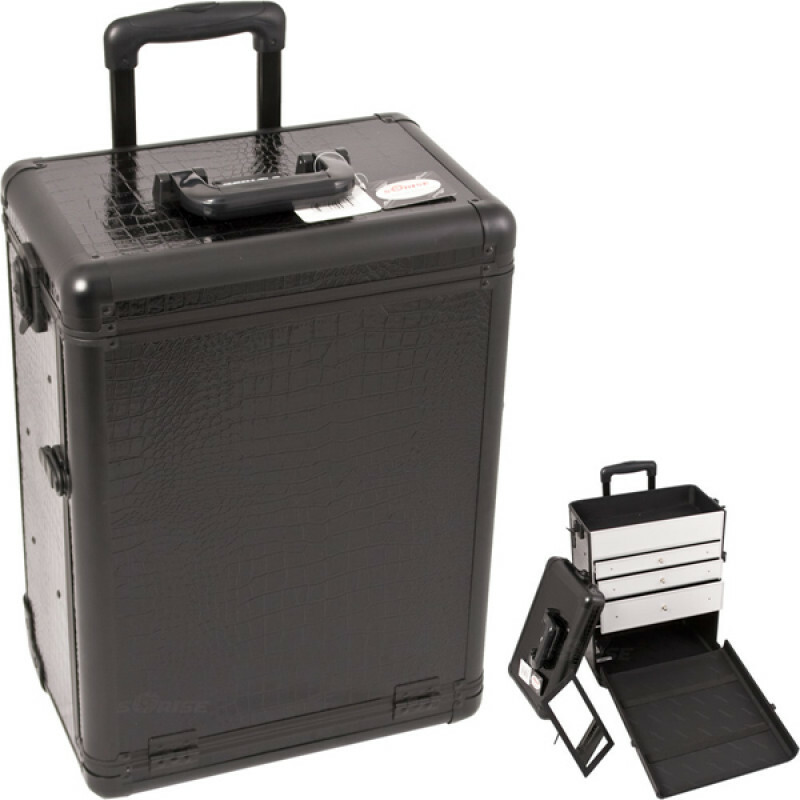 The E6303 Sunrise Black Croc Makeup Case w/Drawers has a telescoping handle & inline skate wheels for easy rolling. Drawers make organizing your makeup an easy task. 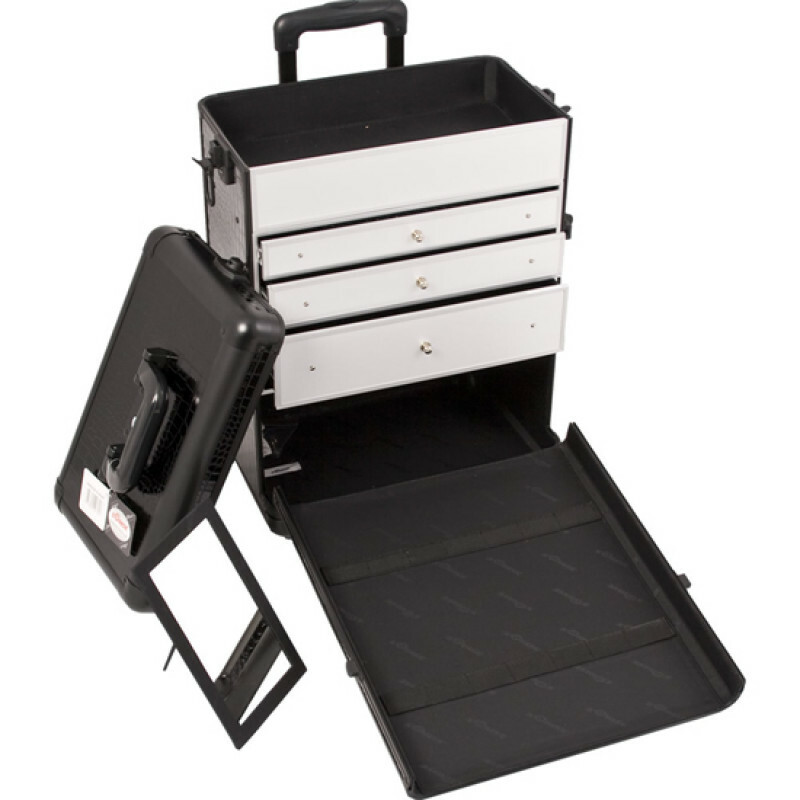 Heavy duty handle with comfort grip makes this case easy to carry. 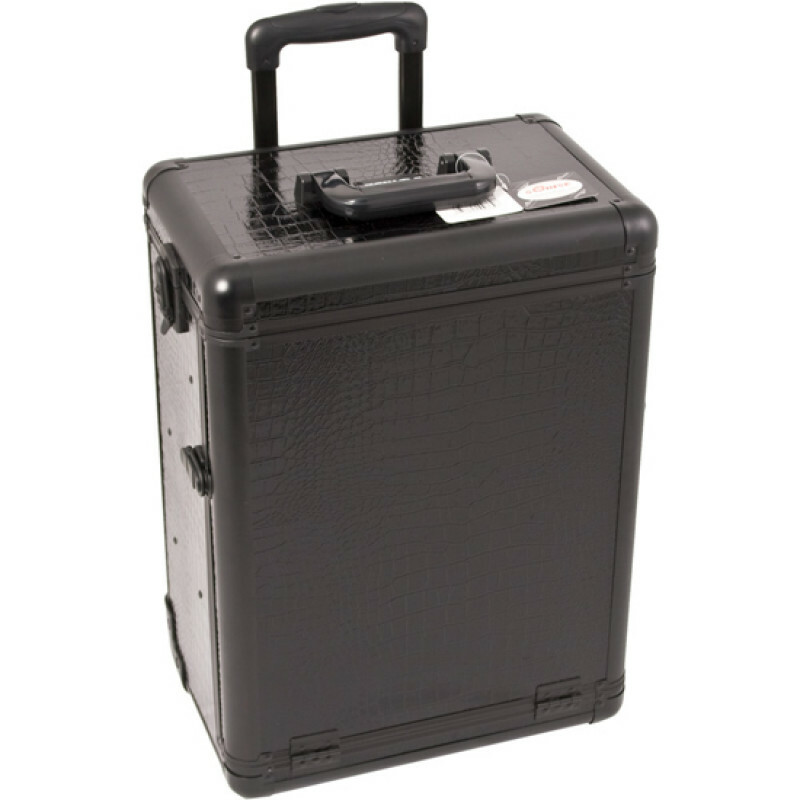 This case can be attached to any E series Rolling case from Sunrise Cases.